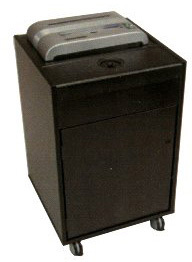 The drug shredding machine is an integrated system providing a secure way to destroy medications in a safe, efficient and cost saving manner by rendering them unusable. all those expired, discontinued and unneeded pills? We have updated our website, and now have a downloadable PDF brochure. We are proud to announce our new website, accessible at www.ultimateproducts.us! Copyright (c) 2010 Ultimate Products. All rights reserved.